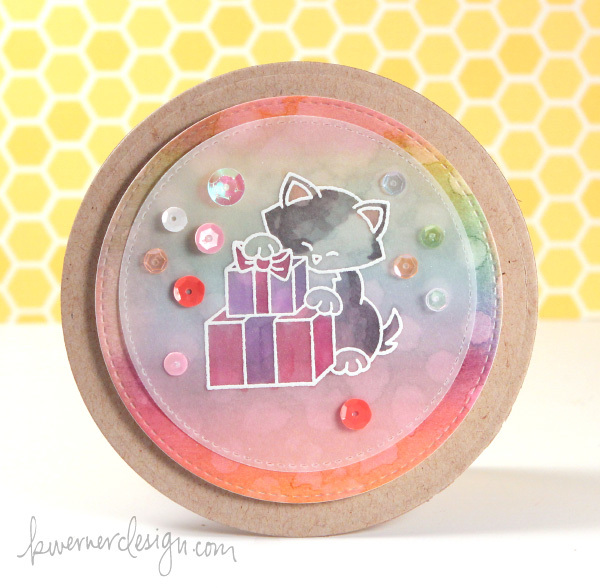 Today’s card is all about gold embossing! 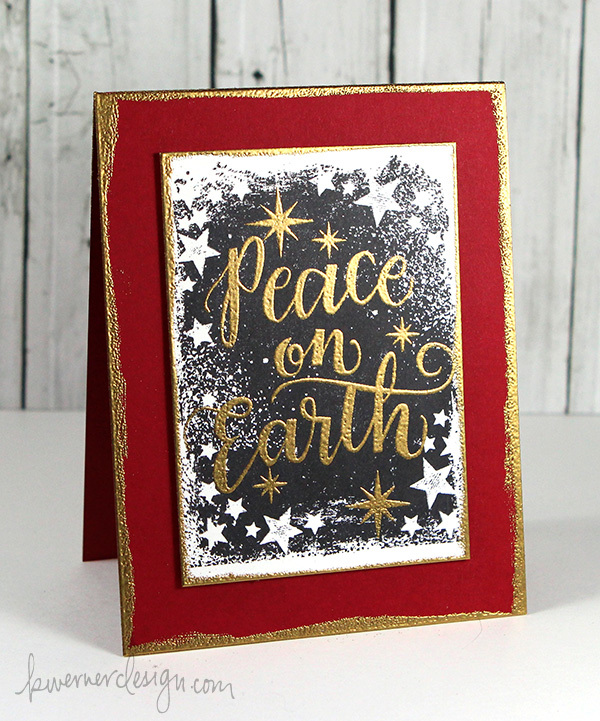 After stamping the Star Galaxy stamp from Hero Arts, I used gold embossing powder to emboss the greeting from Mama Elephant’s Peace on Earth stamp set. 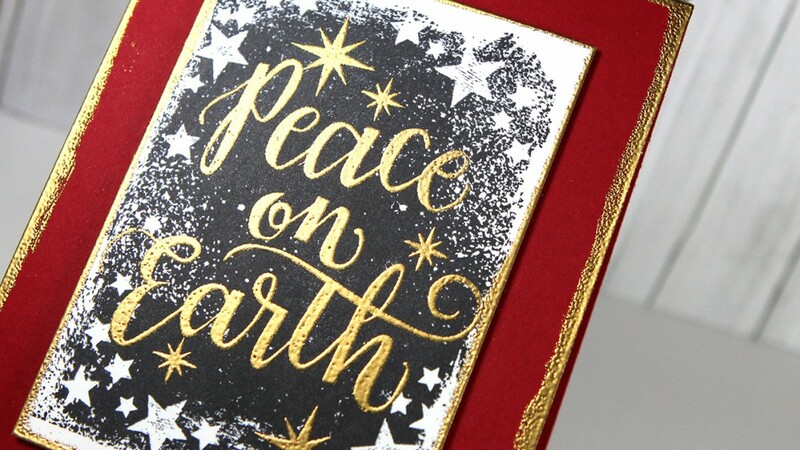 I pressed the edges of the white cardstock piece and the Schoolhouse Red card base into a VersaMark pad in order to add gold embossing to the edges. 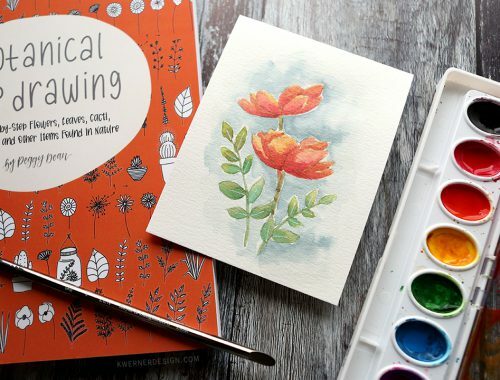 I hope you all have enjoyed the Holiday Card Series this year! And thank you so much for watching!